Nail Your New Year's Resolution: Begin Your Build! 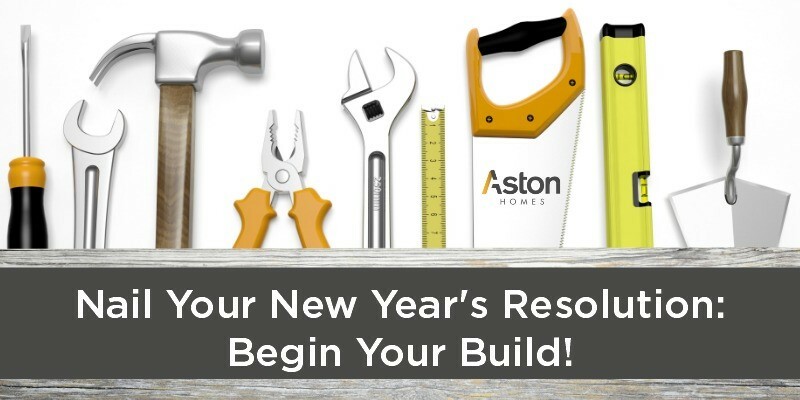 Nail Your New Year’s Resolution: Begin Your Build! So you’re looking at building your very own home in 2018? How exciting! At Aston Homes, we understand there comes a time when trekking across town for open for inspections that just don’t make the cut grows frustrating. You’re ready to retire from house-hunting once and for all, and sit on the cusp of choosing a builder for your new home. The first months of a New Year are the perfect time to begin your build. The sun is out. The birds are singing. The kids are heading back to school, and you have a little more time to focus on the New Year’s resolutions you made back in December. We’re certain that building your own home was high on that list – if not the number one priority. Today’s blog highlights four reasons why getting started on your Aston Homes build is the first 2018 resolution you should tick off your list! The beginning of a New Year is the perfect time to make property plans! Will your family enjoy a holiday this year? Will your parents be coming to visit for a week (or six!)? If you know that your family will need time to settle into their new home – planning 2018’s big events around the settlement of your new Aston Home means a calmer transition for all involved. By beginning your Aston Homes build now, you’ll be in your new property before long. How lovely would it be to celebrate the spring and summer school holidays in your new home? The Aston Homes construction period is approximately twenty weeks – so every week that passes will shift your building schedule further along into the year. Permits – depending on all relevant information being provided on time – can take an additional six weeks. February is a fantastic month to get building, as it allows the Aston Homes team twenty to twenty-five weeks to get your permits in line and commence construction. Christmas and the holiday period are the busiest periods when it comes to construction in Victoria. Naturally, everybody wants to be into their brand-new home to host holiday parties. To avoid this rush – choose February to begin building. This is a great time of year to begin the process, as people return to work and children go back to school – normality sets back in. February’s gorgeous weather means weekends are perfectly spent wandering through Aston Homes’ beautiful displays and chatting to our friendly team. 4 – You’ll Be In By Mid-Year! 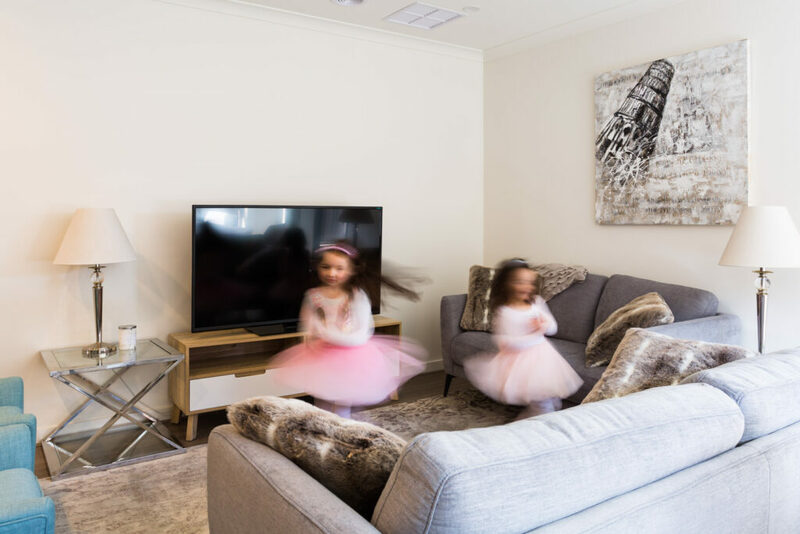 At Aston Homes we’re focused on building quality, modern homes with all the trimmings for Australian families. Of course you want to be in your brand-new Aston Home by the close of the year – but we’ll go one better. If you begin building now, we’ll be able to get you into your new home before Winter! You’ll have time to warm your home – literally! – before Melbourne’s cold sets in. 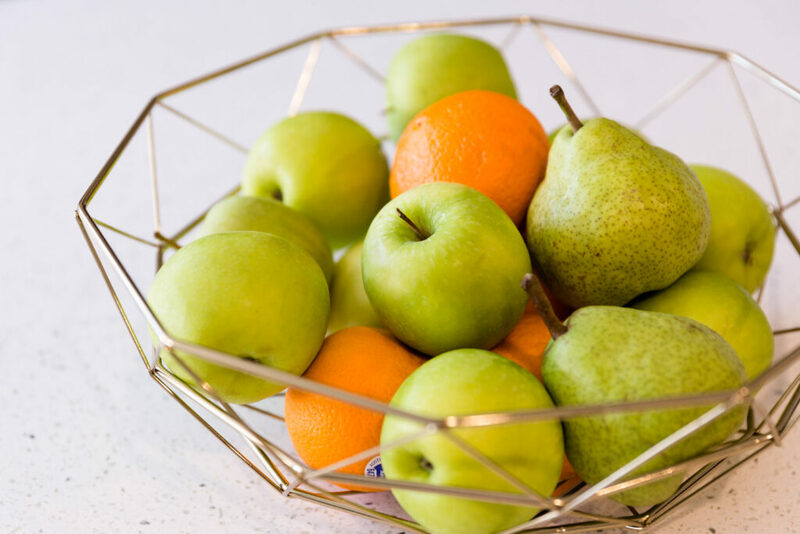 If you’re ready to get cracking on your New Year’s resolutions and bring your very own home to life – the Aston Homes team are here to bring your goal to fruition. Ready to chat or want to browse our elegant facades and chic floorplans? You can do all of that right here.